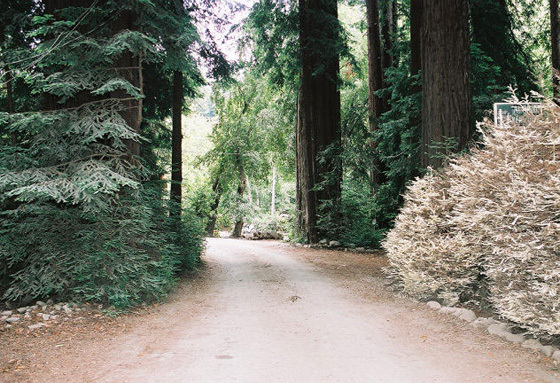 Fernwood Campground & Resort is home to a very rare albino Redwood tree. Because the Albino Redwood lacks chlorophyll which is needed for photosynthesis, they are dependent on a host Redwood tree for nutrients. Albino redwoods are saprophytic, meaning it is a root parasite, receiving its nutrients from a host Redwood tree. The Albino redwood tree, the "ghost of the forest," is very rare and because of that we ask that you not take souvenir branches with you. They will not grow and when they dry out they look just like a normal dried out redwood branch. We believe we are the only AAA Approved Campground with an albino redwood tree. The albino redwood tree is on the right. This is right next to where you check in to the campground.